Welcome to our beautiful Montana getaway! Our guests enjoy free parking and free ski equipment storage slopeside. Enjoy spectacular panoramic views of the Rockies, Glacier Park, Flathead valley and the ski village. 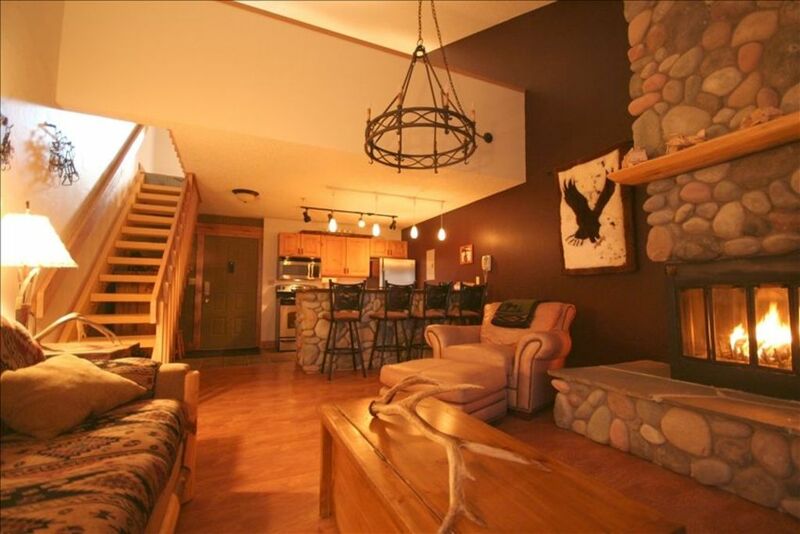 Our condo is located in the Edelweiss building, in the heart of Whitefish Mountain Resort Ski village. 622228. We also have a large 3 bed and 2 Bath at 989038. For driving directions go to the same website link and click on 'Vacation Planning' then 'Getting Here'. A Coin operated laundry is located in the Edelweiss building($1.50 for washer/dryer and change machine, we have laundry detergent in closet for your use.) Sauna and hot tub are shared and open only during ski season. Free wifi Internet cable is available in the lobby and wireless is also available throughout the Edelweiss Condo area. The hot tub and sauna only operate during the ski season. Only available in ski season.